Hi Friends! 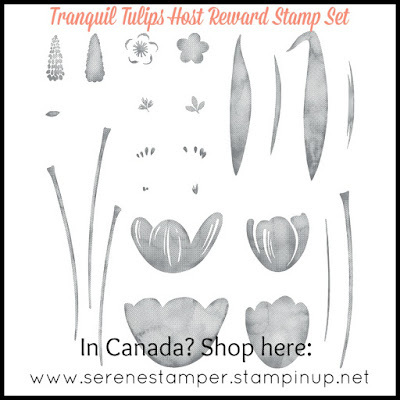 The "Tranquil Tulips" host reward set is truly stunning. This set is a gift you can choose as part of your host rewards with a qualifying order or party of $200. 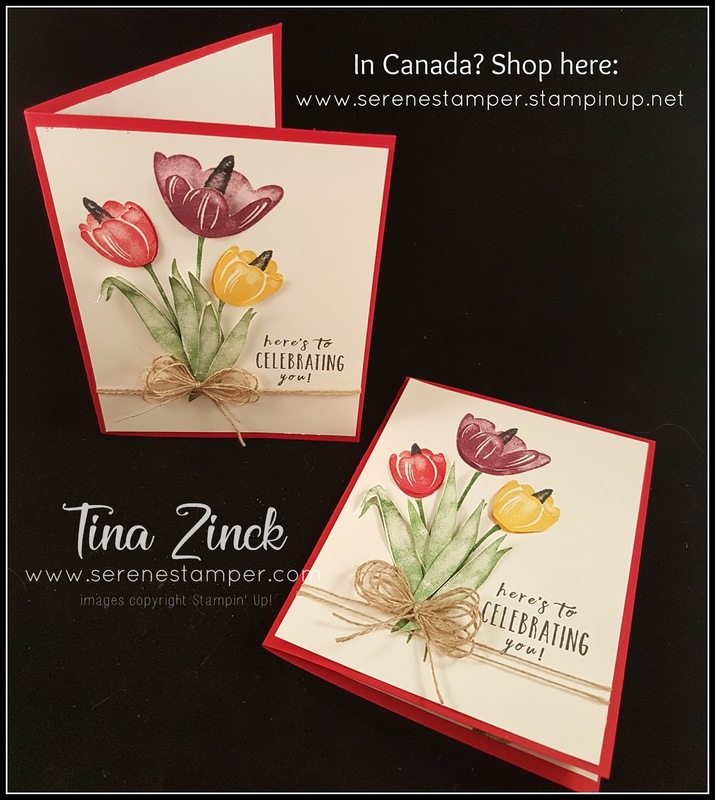 Two-step stamp sets, like this one, do all the work for you, with the shading and layering. 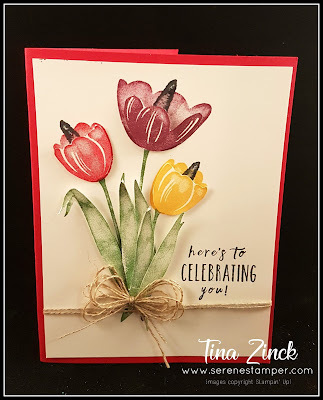 I made this card for my mom and my honey's mom - both who have birthdays in March (my mom's is March 10th and his mom's is March 9th). With Spring on my mind, and knowing how both our mom's enjoy flowers, "Tranquil Tulips" was the ideal set to use on their cards. 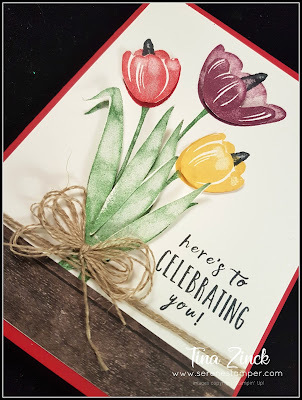 I accidentally got a big smudge of ink on the front of this card, so I covered it up with a strip of Wood Textured Designer Series Paper!